You are here: Home / Health and Wellness MLMs / Forever Living / Forever Living Distributors | Is ForeverLiving one of the top mlm companies to join in 2015? Is Forever Living the Top Mlm Company to Join or Stay In? According to the mlm rankings, Forever Living is one of the top mlm companies. Selling Aloe Vera Gel Products, this multi level marketing opportunity is often searched for mlm scams. Let’s find out if ForeverLiving is a scam or if it is indeed one of the best mlm companies out there. To begin, we need to make sure we understand what mlm is. Mlm is short for multi level marketing. You can find out more about mlm in my mlm glossary here. Forever Living is a direct sales company that started in 1978, over 35 years ago at the time of this post. Now as a multi-billion dollar company in Scottsdale, Arizona, Forever Living sells wellness and beauty product. As of current, there are over a half million (that’s 500,000) Forever Living distributors across the globe in over 145 countries. 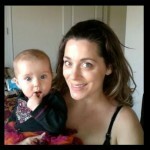 As most mlm companies claim, it is the way to a healthier and wealthier life. I’m beginning to think of the fountain of youth every time I read about mlms that are in the health business. So many mlm companies that I have researched always mention that the company is for them, not necessarily to sell the product and just the other night I was watching a news report that actually talked about that very thing. Apparently the newest and trendiest things that are being sold are more about the consumer than the product itself. The program stated that sales is not necessarily about the value anymore and people will buy products for the experience in the sales process. They want to hear stories and know more about people and share a “moment” with their sales people rather than just go and buy products. If that is the case, the mlm is on the road to be the top selling companies in the world….if they are not already. If there if one thing I can say for sure about mlm, is that they are about people. A LOT of people talking about selling goods. The problem is, do all of those people get the wealth they set out to achieve. Sadly the answer is no. They CAN but many don’t. 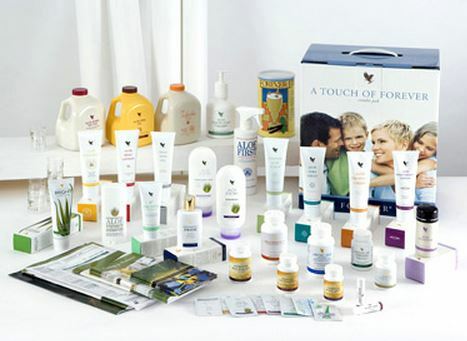 Foreverliving promotes an actual health and wellness product line that is mainly focused on aloe vera products. The Founder of Forever Living, Rex Maughan offered the Forever Living business opportunity to his closest friends to get started out. Forever Living is an impressively sized mlm company. Owning their own plantations and manufacturing/packing plants makes them a little different that some other mlm companies. With a focus on youthful living, they also offer other larger product services, such as Forever Living Resorts and Forever Giving. I have to say that I am very impressed with Forever Living for an initial impression. One of the things that is working for them, for people who are looking for a mlm business opportunity, is that they are in transition from a “smaller” company to a larger mlm and right now seems to be right in the middle of that transition. You will see that forever living is trying to move from www.foreverliving.com to www.discoverforever.com. 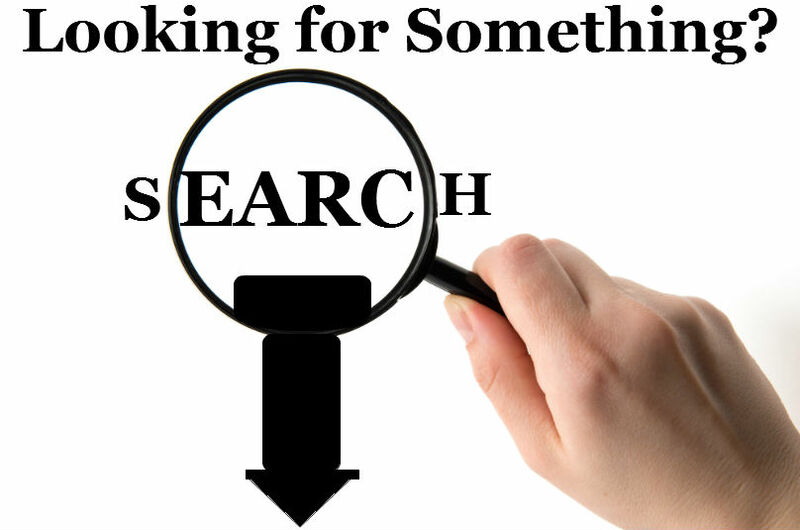 You will be able to immediately determine which site is older as it is more generic web platform. Wouldn’t it be one of the most awesome advertising ploys of all time to present youself as a company in transition online by having an “old” site (which was created on the same day as the new) and a “new” site at the same time? People would think they were getting in on the ground floor and, in my opinion, be more likely to join. I don’t think this is what ForeverLiving is doing, however, it is a fantastic idea and if any company out there needs help with this plan, just give me a call. hahaha! As a mlm stalker, it seems to be that people would be more likely to join a mlm company that is in this transition because it is as close as you can get to the ground floor and that’s where a lot of people in mlm companies will make money. You can make money at all levels of mlm’s but getting in it before there may be overexposure is a top opportunity. The only thing I don’t know is whether or not Aloe Vera Products are really that “hot” and if they are, how long will they be that way? Most of the Forever Living success stories I have come across are people who have been with the company for several years and I know a lot of mlm opportunity seekers are looking for a quicker return than that. Looking for fast money is the problem with most people who wan to join a mlm. I can not state enough that you can NOT expect to make money overnight when you join a mlm company. Like anything else, you have to learn the skills it takes and then you must take persistent action on a daily basis in order to achieve the wealth you desire. The amount of wealth you receive is reflective of the time you put in and it may or may not be what you expect. 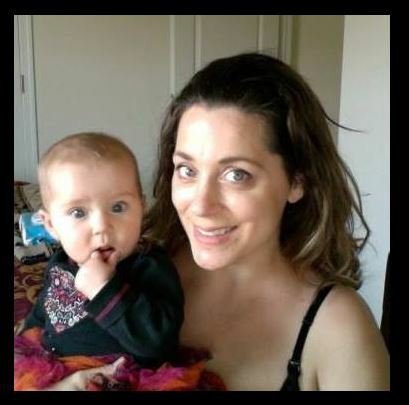 What I have found out it that you can’t just sit by and do nothing in any mlm business opportunity or otherwise and expect to generate extra income for you or your family. Forever Living Compensation Plan – Lucrative Mlm Comp Plan? The forever living compensation plan pdf doesn’t really exist. When you look for “plan marketing forever living products pdf” you actually end up getting results that are pdfs made from other FLP (Forever Living Products) Distributors or people who are doing FLP reviews. On a side note, it is very annoying to me to have to wait for a pdf or a video to load to find information about the Forever Living Distributor Opportunity so many times, while finding this information, I would exit out of the Forever Living website because I couldn’t stand to wait for the upload. That is one thing that I think they are missing. There is a lot of information out there regarding the Forever Living Distributor Compensation Plan and it varies a little bit from one FLP Distributor site to the next. On their main site, there is nothing that is easily accessible that I have found (at this point in their development anyways) and that makes me feel unsteady if I were Forever Living Distributor prospect. What are the Basics of the Forever Living Compensation Plan? The Forever Living Comp Plan consists of 10 ways that you can earn extra money on a part time or full time basis. Retail Profit – This comes from your commission for working with the retail sales of the Forever Living Distributor Products. You order the Forever Product at wholesale and sell it at retail to earn a commission. This is your starting point as a Forever Living Distributor where you get an automatic 15% off the Suggested Retail Price (SRP) upon becoming a Forever Living Product Distributor. Once you sell 2cc over the course of two months (see explanation below) you are eligible to receive a deeper discount and therefore a higher commission off the product. Personal or Group Bonus – This Bonus is available to you if you are an Active (Qualified) Forever Living Distributor at the Assistant Supervisor Level. This Bonus allows you to make commission off the retail sales of the product in your organization. Once you make so many purchases yourself , you qualify for this bonus and the value of the bonus varies based on what you have sold that month. 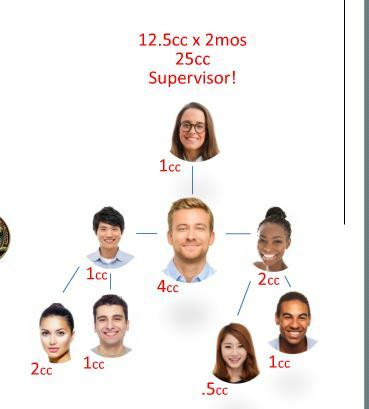 The group bonus you get after you become a supervisor rank and the amount earned depends on the overall sales of the group.The personal bonus depends on your rank: Supervisor, Manger…etc.. Leadership Bonus – Awarded to the Forever Living Distributor who develops Manager Level FLP Distributors within their team. This is when you can begin to earn on the generations within the company that you have built. A generation goes from you, the manager or higher all the way down to the next manager in your downline. The second generation goes from that first generation to the next manager in the downline and so on. You can earn through three generations with this bonus. Eagle Manage Bonus – I believe this is also called the “Soaring” Bonus in which you receive a monetary bonus amount for having 5 Forever Living Distributors who have achieved the Manager Level. Forever 2 Drive Bonus – This is a bonus that will give you some cash towards the purchase or lease of a car usually in a mlm company. LIMU has a very similar bonus. They also offer that you can talk half the value of the bonus in cash if you don’t want it towards the a car. The Forever Living Incentive was up to $800 per month depending on the Sales Volume of the organization. Earn a portion of the Annual Chairman’s Bonus – Sometimes called an Annual Profit Share, this takes into account your contribution to the overall end of year sales of the company. Gem Bonus (adds up to 3% to your leadership bonus) – This increases the amount you can earn from your organizations retail and wholesale sales of the Forever Products and can almost double your income. You earn up to 3% on all your manager groups retail volume. This is motivation to keep your 1st generation managers active and growing. The amount you make within the ForeverLiving Distributor Compensation Plan is dependent you are in relationship to your sponsored lines on a the mlm genealogy of this company. If you are a manager you can earn 10% from any of your Supervisor Downlines, 5% from your Assitant Manager Downlines and 13% from your Assistant Supervisor Downlines. The Level of your downlines will determine the Group Bonus that you receive. Up joining FLP, you are immediately a Novus Customer and you automatically get 15% off of the suggested retail price of any product which you can then take and resell at the suggested retail price. This will earn you 15% off your sales right out of the gate. The amount you buy each month will dictate your Rank in the Company to start out. Case Credits Determine your rank. Right now 1 case credit is equal to $145. Case Credits are dependent on the retail cost of the product. …so it can change. Retail Customer – When you purchase in large bulk orders for a retail customer, you can get up to 30% off. Novus Customer – You get an immediate 15% off the Suggested Retail Price and can sell for profit. One of the case credits must be from you. Novus Customer Bonus is 5% at this rank. Requires a purchase of 25 case credits – ($3,625.00) in a 2 month period. One purchase of the case credits has to be from you. This qualifies you for a 38% discount off of the suggested retail price or a 38% profit. Novus Customer Bonus is 8% at this rank. Novus Customer Bonus is 13% at this rank. Qualifies you to get 48% discount off the suggested retail price. Novus Customer Bonus is 18% at this rank. Once you achieve the rank of Supervisor as a Forever Living Distributor, you then qualify for the Group Bonus. Group Bonus is based on the sponsored lines in relation to your personal level. You must be Qualified and active in order to get the Group Bonus. Forever Living Distributor – Supervisor = Eligible for a 3% group bonus off of Assistant Supervisor Volume i the downline. 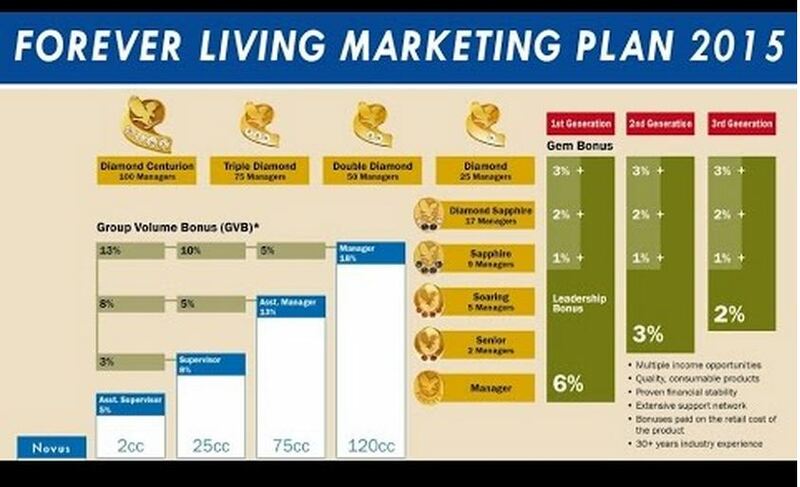 The more managers you have in your downline the higher your rank will be for the gem bonus. 2. Senior Managers = 2 Managers in their downline. 5. Diamond Sapphire Managers = 17 Mangers in their downline. Earn 2% from top 3 generations. 6. Diamond Managers = 25 Mangers in their downline. 7. Double Diamond = 50 Managers in their downline. 9. Diamond Centurios = 100 Managers in downline. There is also the Generations Bonus plans but I was not able to figure them out. Just know they are lucrative! If I have time, I’ll go back and figure that one out! Pay Periods for Retail Profits = Every 10 days. Bonus Pays are paid on the 15th of the following month. Forever Living Combo Packs – To get Started. Although it was listed as relatively cheap to join, in reality, you need to know the product well in order to sell it well and for that reason, you are encouraged to buy the Forever Living Combo or Starter Packs that come with a variety of the Forever Living Products for the Forever Living Distributor to try. The cost was just over $400.00 on the site that I found. This better be good stuff.. Forever Living is impressive in that they have taken the time to talk about their carbon footprint on the Earth. Not only are they helping people achieve their dreams of making extra income with a mlm, they are helping people support the “green” effort by supporting the sales of their green products. They offer little tid bits of knowledge about Aloe throughout their website and even the older site is impressive with the approach they take to promoting their product. 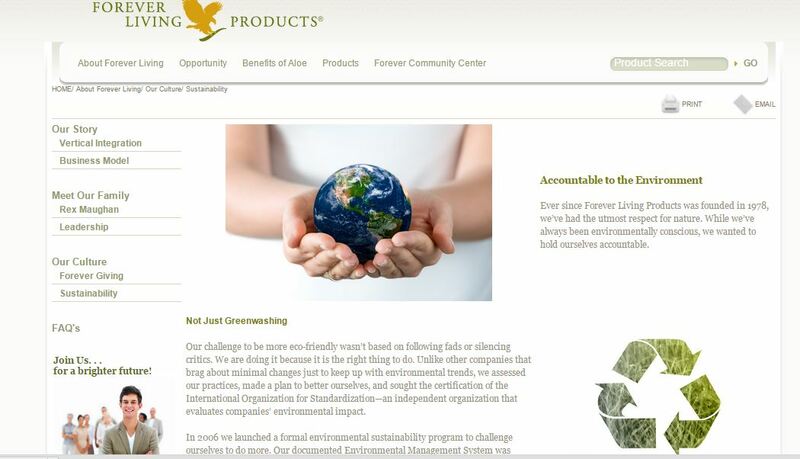 Things like: “Forever Living Products’ net carbon footprint is one of a net positive effect on the environment. When it comes to the efficiency of converting CO2 into oxygen, 20 aloe plants are equal to one tree.” is something that truly impresses me. It matters to someone like me who may be looking for a mlm company that has values and cares beyond the sale. The other thing I like about ForeverLiving is that on every level of their old site (and new one) is that I find a real “homey” feel. It’s like I can meet the top corporate leaders in this company and I know a little bit about them right off the bat. That is not something that was as prominent in the other mlm reviews that I have completed. I really think there is a huge benefit to having an older site that shows the historical progress of Forever Living because it makes it more “real” and shows it’s not just another pop up company trying to make money off of the little guy. On the other hand, the newer generation of mlm earners are going for the more new and relevant looking things, so the time to transition to a newer look couldn’t be better. Forever Living is in a prime position with their company and timing to really knock it out of the park as far as increasing their global sales volume. The older generations will like the simplicity of their older site and the newer ones will like the streamlined new look of the mlm company’s newer website which reminds me a lot the LIMU Company website. I think both approaches have value but being a visual person, I tend to like the older site better only because it is less busy and there is more free space for my eye to roam and not to be overwhelmed. All that being said, the newer generations are all about short attention span and moving all over the place. As a product of video gaming (not all..but a large majority) their brains are wired for scanning and searching for the opportunities and finding white space for a visual break isn’t in their programming. The younger generations want to interact with their websites and are tuned in to scrolling and moving about and being rewarded by little pop up visuals. To me, it’s annoying to have to scroll to find information, but to the younger generations, it’s stimulating and likely an extremely good decision on the part of the Forever Living Company. One of the problems that I think has come about because of the two Forever Living Distributor pages is that there are people that are confused who are ForeverLiving products distributors who don’t know where to find the Forever Living Distributor Login page. I only say this because one of the main things I came across was a lot of people looking for “Forever Living Distributor Login” during my search of the Forever Living MLM Business Opportunity. The other alternative wording was “Forever Living Products Distributor Login”. Both indicate that there must be a problem with find the FLP login during the transition. Hopefully this is something they have taken care of so that the FLP distributors don’t have to waste too much time trying to figure out how to get to their back office when all they want to do is see how their Forever Living Aloe Vera Sales are going. Speaking of Aloe Vera, What do Forever Living Distributors sell? As a Forever Living Sales rep or consultant you will be offering products that are made using the aloe very gel from aloe vera plants from the Forever Living Plantations. Offering a variety of Forever Living Products around the world, Forever Living has taken over the global need for Aloe Vera Health and Wellness consumable products. Where can you find Forever Living Distributors? MLM Business Opportunity – Should I Sell Forever Living? As much as I am impressed with the initial presentation of Forever Living Products, and I am tempted to join as a Forever Living Distributor, I realize the Forever Living is still a mlm company. For me, building wealth off of of a product that I have to buy is a bit overwhelming and within that statement there is some irony. You see, I paid to learn how to do internet marketing. I took an online course and I’ve been mentored by online internet marketing millionaires (see millionaire mentoring videos here). I understand that you have to spend money to get money. Even with my top online lead generating skills, I still would rather make money by working for a local company (or global for that matter) by generating them leads with my learned seo skills, website and lead generation skills than to join a mlm and know that I have to rely on someone else to build my empire. Even with Forever Living Products, no matter how good they are, being a mlm company, I would have to get other people to join and get those people to perform in order to make the bonuses that I want to achieve the wealth I desire. For me, that’s just not what I want. I want to have a residual income that relies on me. Not on my downline. Plus, if I were to join Forever Living, I would want to make sure that I had the marketing skills I needed in order to be successful in the company. The ForeverLiving top mlm earners actually have these skills….but I know how to beat them in their online presence because of the course I’ve taken and the network marketing coaching I have received. How do I know they have these skills? I told you…I’m a mlm stalker. So there I am just looking up Forever Living in a local area and I come across one of the top earners in Forever Living by accident. They are ranking pretty high on the keyword I was looking at, but they are ranking all over the place geographically. When Forever Living takes off, this person won’t be ranking like that anymore because of the nature of the search engine algorithms. I’m sure it won’t matter much because they are already at the top of the company pyramid but and if you become a Forever Living Distributor, you will likely be in their downline. You will be competing with others in your downline. If you’re not one of the top performers, it doesn’t matter where you rank, you will lose sales to people who are sponsor shopping and looking for the best leaders to be under….so rather than the people that you introduced to the company falling in your downline, they may join beside you under the same sponsor. As mlm companies progress, there is the competition with other sponsors to get more people to be their sponsor. Even if you convert your own customers (loyal customers of Forever Living that you make $ on) to a Forever Living Sales rep, you can lose them to someone in your upline. ..unless the Forever Living Comp Plan says that they stay under you forever form the moment they join. (I didn’t see any articles relating to this but I do know that with a company like BeachBody, you can actually transfer your coach and move around changing your sponsor before you join as a Beach Body Coach. You do not have to requalify for a rank once you achieve it like with other mlm companies in my mlm reviews. No one in your Downline can pass you up, so if they become a supervisor, you become a supervisor rank. Multi level marketing that relies on bringing in other distributors in a downline below you. Their success helps determine your success. If the economy takes a downturn, will people be buying Aloe Vera Gel products? Most of the training I found was varied and in videos and looks like it needs a lot of improvement. Training is a huge part of mlm success. Forever Living Scam or Top Mlm? Is Forever Living a Scam or Top mlm Company? I don’t think there is any evidence that the Forever Living Products Scam is legit, however, I’m not a an expert on scams or anything like that. I do think that since they’ve been around for so long that they would have already been shut down by the FDA do I’m going to say that the Forever Living Scam Claims are probably just angry former Forever Living Distributors who live life by putting negative vibes out in the world. Or it could be someone trying to take advantage of Forever Living and draw you into their mlm scheme, scam or actual legit mlm business. Who knows! What I do know is that in order to be successful in any online mlm company, you will need internet online marketing skills and the right online training for internet marketing. After taking a very extensive look at what FLP has to offer their Distributors, I’m going to say the would benefit (you too) from the online course that I took in order to dominate the online world as an internet marketing guru. It’s not mistake that you found my post and it’s not a mistake that you here reading this. It means you are truly interested in an opportunity to learn how to make money from home using your computer or that you are a Forever Living Products Distributor and you are trying to figure the compensation plan so you can figure out how to get paid. If that is the case, why not do yourself a favor this year and get yourself some online marketing lessons from two millionaires who have made thousands in mlm companies and have mastered internet online marketing and sales skills? I did and I have not regretted a single moment and have made thousands with the skills I have learned.